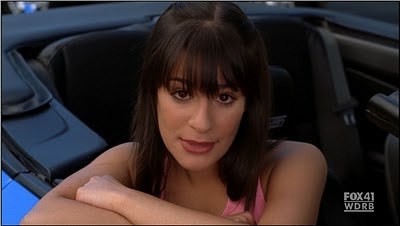 An alert member of Modern Camaro posted about what looks like some GM product placement in the hit FOX TV show 'Glee' last night. While he claims his wife was the one watching the show, we won't hold it against him. During one scene, there is a blue Camaro convertible with black wheels in the background as clear as day. Looks like the Grabber Blue found on the current Ford Mustang. Personally, I think the car looks great in that color, then again so does the Mustang. 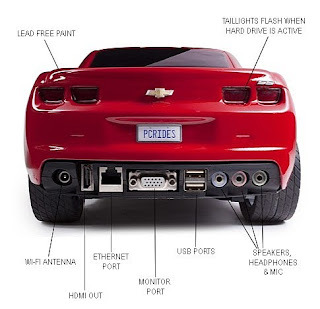 Is this car a GM prototype? Aftermarket? 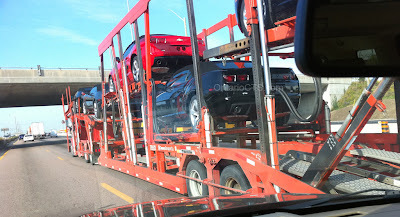 Who knows, but as this much anticipated car gets closer to production, I expect more promotion like this from GM. Nothing like working to make a great thing better! Here are some stills from the show. A fine example of the Chevrolet Camaro on the track! We found this posted on ModernCamaro.com this week. Early this year, the successful Dutch motorsport entrepreneur decided to bring the Chevrolet Camaro to GT4 regulations, built by Riley Motorsport Technologies in Mooresville, North Carolina, to Europe. 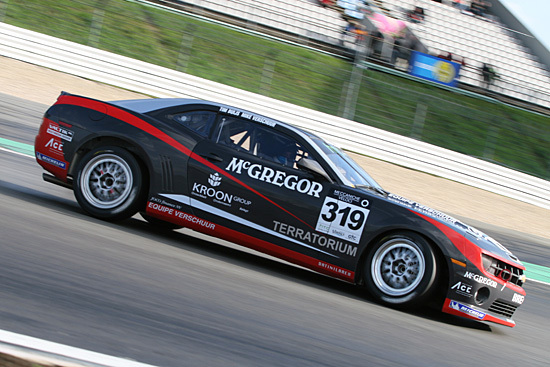 Soon after that, Verschuur announced his intention to enter two Camaros under the banner of his own team for the HTC Dutch GT4 Championship, the highest motor racing category in The Netherlands. The fact that it took longer than planned for the cars to make their race debut is also the result of Verschuur’s philosophy, which already helped him score many victories, among others in the Le Mans 24 Hours and various European Renault one-make competitions. “There is no use racing the car when it doesn’t fully suit our requirements. First, we wanted to adapt the Camaro to European standards, and only go racing when we were fully satisfied”, Verschuur explained. 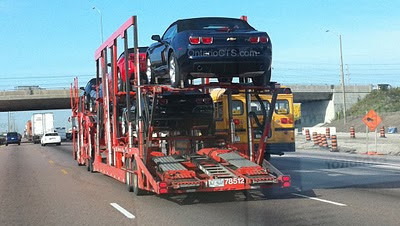 An alert member of GMInsideNews.com, Jon04CTS-V, saw a car hauler packed with 2011 Camaro convertibles on the 401. He was quick enough to snap a few pics to share with us on the web. We have all seen the images from Australia and even a Detroit area convertible wanna be, but these cars are legit! More than likely captured test fleet cars? Cars for the media review? Who knows. Great news! The UFC Camaro auctioned off at Barrett-Jackson this weekend brought $350,000! One of the hottest cars ever made, the custom UFC Camaro, just sold for $350,000 at the Barrett-Jackson Collector Car Event in Las Vegas, Nev., with all funds benefitting the Intrepid Fallen Heroes Fund. UFC President Dana White, who is in Indianapolis this weekend for the UFC 119: Mir vs Cro Cop Pay-Per-View event, tweeted, "Thank you to all the bidders on the UFC Camaro!! It went for $350k!!! That money goes to the troops. So amazing!!! I LOVE UFC fans." The Ultimate Fighting Championship® teamed up with Findlay Customs and Modern Muscle Las Vegas to build the limited-edition UFC Camaro complete with 650 super-charged horsepower and one-of-a-kind features including custom exhaust, lowering suspension kit, 2000-watt sound system, custom paint and UFC fight glove seats with suede headliner. The UFC Camaro crossed the Barrett-Jackson block during prime time at the Mandalay Bay Convention Center today, and was driven by none other than UFC Hall of Famer Chuck "The Iceman" Liddell. The family of the winning bid, who ultimately paid $350,000 for the custom sports car, admitted to auction officials that they are huge UFC fans, and are thrilled with their collectible UFC Camaro. SPEED television carried the UFC Camaro Auction live. The $350,000 for the UFC Camaro will benefit the Intrepid Fallen Heroes Fund, a not-for-profit organization dedicated to providing support for the families of United States military personnel injured or lost in performance of their duty. Likewise, the Intrepid Fallen Heroes Fund works to assist our wounded warriors by providing facilities and services that ensure that injured military personnel receive the best possible treatment our nation has to offer. Own the second regular production 2011 Camaro convertible! 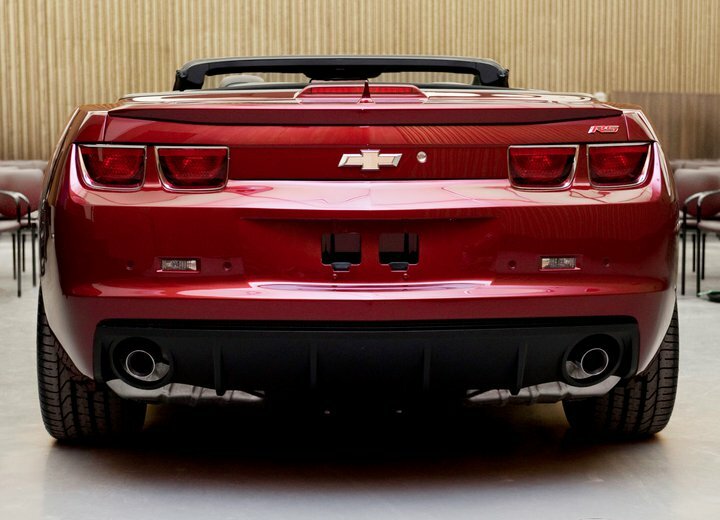 Barrett-Jackson gives us a glimpse of the future, the 2011 Camaro convertible. In the first quarter of 2011, this extraordinary vehicle is coming to life and you can be among the first to own it. 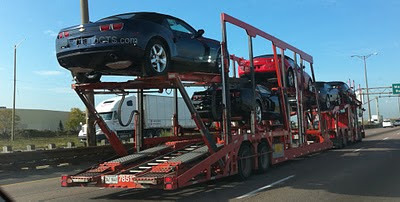 The winning bidder can select and order the second regular production 2011 Camaro convertible, including color, engine, transmission, trim and factory installed equipment. One hundred percent of the winning bid will benefit the YMCA of Southern Nevada. The winning bidder can take delivery at a dealership in their hometown OR at the GM Heritage Museum in Detroit. Visit www.barrett-jackson.com for more information! Roar Clothing announces “The Open Road Sweepstakes” exclusively partnering with The Buckle, to give away a custom 2010 Chevy Camaro to one lucky winner. Roar Clothing designed this specially customized 2010 Chevy Camaro to reflect the Roar positive and strength based lifestyle. The contest opened this August 9, 2010 and runs until October 4, 2010 and Roar Clothing & Buckle invite the public to enter to win at www.Buckle.com/sweepstakes or www.RoarUSA.com. No purchase necessary, and anyone over 18 can enter. For official rules please visit www.RoarUSA.com. Can't afford the 1:1 version from your Chevy dealer? 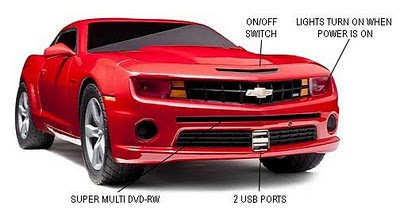 Head to the ChevyMall and order your own 5th gen Camaro personal computer for only $1,200. Of course you will need to provide the monitor, keyboard and mouse, but you do get to pick one of eight colors, including Inferno Orange, Rally Yellow and Summit White. Base model comes with the following configuration. You may upgrade as well. Event in Las Vegas, Nev. The Ultimate Fighting Championship® has teamed up with Findlay Customs and Modern Muscle Las Vegas to build a limited-edition UFC Camaro complete with 650 super-charged horsepower and one-of-a-kind features sure to grab the attention of UFC fans and car aficionados alike. The UFC Camaro (Lot #392) will cross the Barrett-Jackson block during prime time at the Mandalay Bay Convention Center and will be driven by none other than UFC Hall of Famer Chuck “The Iceman” Liddell. The winning bidder will bring home a UFC limited-edition Camaro that features a supercharged, 650 horsepower engine, custom exhaust, lowering suspension kit, 2000-watt sound system, custom paint and UFC fight glove seats with suede headliner. SPEED television will carry the UFC Camaro Auction live on Sept. 24. Proceeds raised at the UFC Camaro auction will benefit the Intrepid Fallen Heroes Fund, a not-for-profit organization dedicated to providing support for the families of United States military personnel injured or lost in performance of their duty. Likewise, the Intrepid Fallen Heroes Fund works to assist our wounded warriors by providing facilities and services that ensure that injured military personnel receive the best possible treatment our nation has to offer. These privately-funded facilities include the Center for the Intrepid, a state-of-the-art physical rehabilitation facility at the Brooke Army Medical Center in San Antonio, Texas that provides those with severe extremity injuries, severe burns and amputees the best opportunity to regain their ability to live and work productively; and the National Intrepid Center of Excellence (NICoE) in Bethesda, Maryland, a $65 million, 72,000 sq. ft., advanced center dedicated to the diagnosis and clinical care of service members suffering from traumatic brain injury (TBI), post traumatic stress (PTS) and other complex psychological health issues. The Barrett-Jackson Collector Car Event runs from Sept. 23-Sept. 25 at the Mandalay Bay Resort. To become a bidder, visit www.Barrett-Jackson.com/bid. Oshawa Mayor John Gray has been an easy target for opponents as he drives about town on government business in his distinctive, blazing orange Camaro. The Oshawa-built car serves as a rolling endorsement and recognition of the importance of General Motors in Oshawa both currently and historically. And despite the sniping from opponents, primarily mayoralty challenger Louise Parkes, the mayor showed astute political instinct in having the City purchase the car. It symbolically underscores the deep relationship between the City of Oshawa and General Motors Corporation, provides visual reassurance here at home of the resurgence of the automaker and reflects Oshawa's primary economic contributor. Opponents have spent a great deal of time in recent months demonizing the mayor for choosing to accept such a high-profile ride and making political hay over its seeming extravagance. Coun. Parkes, for example, says she'll auction off the vehicle and return the money to the reserve account in a bid to set a new tone of restraint in Oshawa. If mayoralty challengers want to show fiscal restraint, they'll start by tackling issues of substance. They won't go off spending hundreds of thousands of dollars on collectibles as they did with the Cullen Miniatures (of which Coun. Parkes was a leading supporter) or strike ill-advised deals with charismatic theatre impresarios, or waste staff time -- and tax dollars -- exploring pie-in-the-sky CFL franchise relocations. The notion that taxpayers will receive some benefit in an auction of the mayor's Camaro is disingenuous. Every single City councillor is given a $5,400 annual stipend they can use to lease or purchase vehicles. They mayor is given no such similar benefit. Over their four-year term of office, taxpayers pay $21,600 for each councillor. At the end of their term, councillors can continue to possess their taxpayer-subsidized automobile. Not so for the mayor. 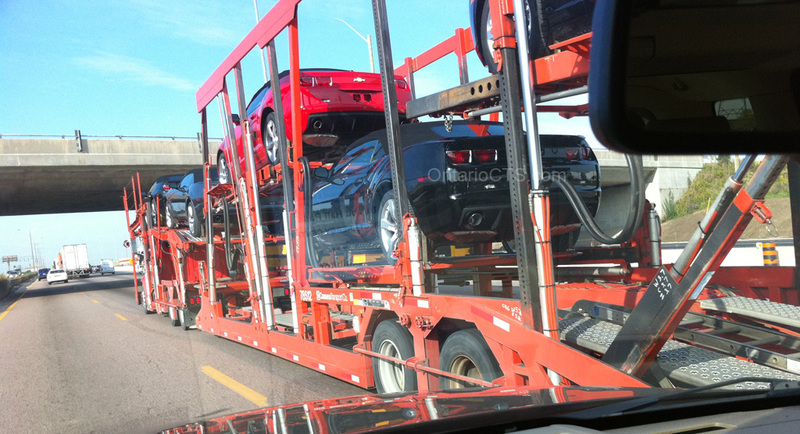 The future Chevrolet Camaro Z28 has been caught testing again, this time somewhere in San Diego. The car is expected to be unveiled in 2011, with sales to begin in 2012.
that produces 556HP and that was also used in the Cadillac CTS-V. Stopping power will come from the 6-piston front and 4-piston rear calipers. 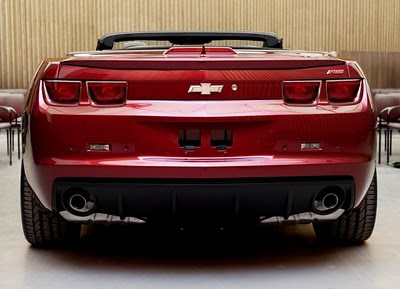 The 2012 Camaro Z28, already confirmed by GM will be will be distinguished by enlarged air intakes at the extreme, a larger bubble on the hood to make room for the supersized engine, quad exhaust with dual pipes on each side, rims inspired by the ones from the CTS-V, and 20" SP550 anodized black (20×10 in the front and 20×11 in the rear) wrapped in Goodyear tires. 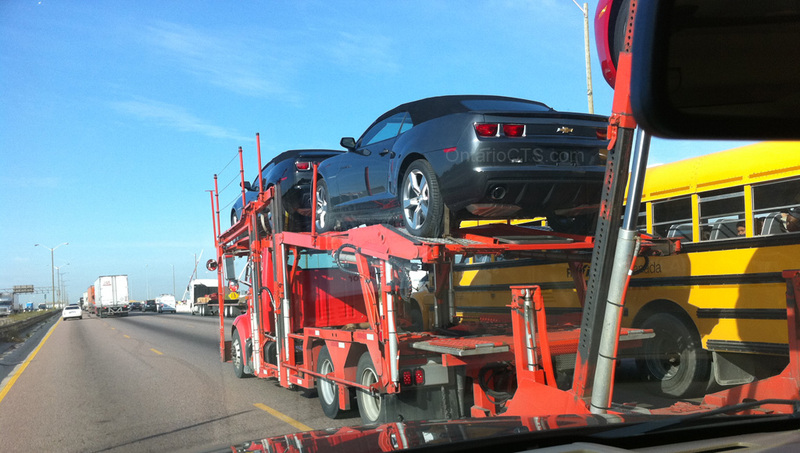 Chevrolet will unveil its new Camaro for UK dealers at the Motor Trader Open Points Roadshow in October. 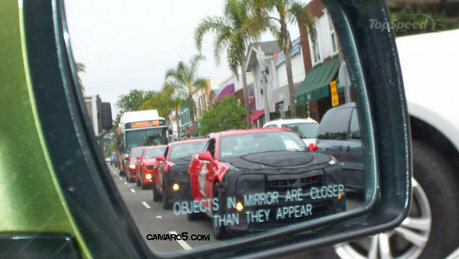 The iconic 6.2-litre V8 US muscle car is due to go on sale in the UK in the first half of 2011. Mark Terry, Chevrolet's UK managing director, told Motor Trader the brand is considering the option of a sole dealership or a selection of Chevrolet dealers.